Kevin O’Leary called Andrew Scheer’s win over Maxime Bernier for the Conservative leadership “absolutely surprising” but said it was the result of differing views on supply management. 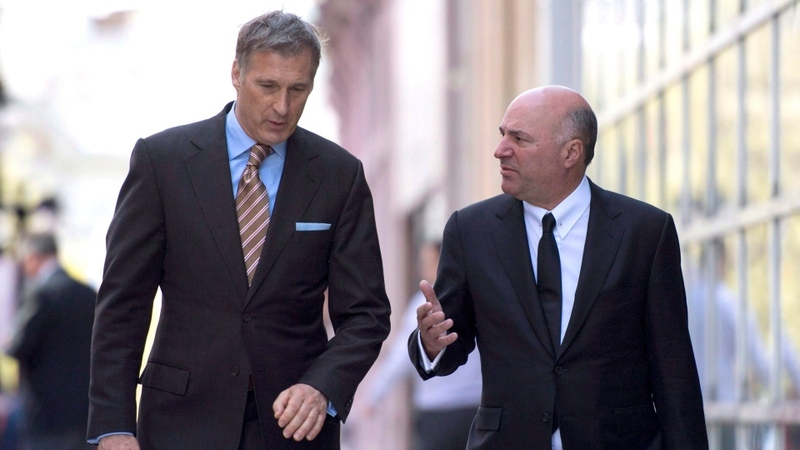 According to O’Leary, a one-time Conservative candidate himself, Bernier’s opposition to supply management and the dairy quota system is what cost him the race and gave Scheer the upper hand. Bernier had previously said that he’s opposed to Canada’s current supply management system that sets quotas and prices for different farming industries including milk and eggs. The Conservative Party of Canada’s policy currently favours supply management, which Bernier said he hoped to change at a future policy convention. Scheer, on the other hand, ran on a platform that supported and defended party policies, including supply management. Bernier led all 12 ballots leading up to the 13th and final ballot, when Scheer narrowly won with 50.95 per cent of the points against Bernier’s 49.05 per cent. O’Leary told CTV News Channel that he decided to drop out of the Conservative leadership race because he didn’t think he could win the election. While Harper was able to grasp the 2011 election with only five seats in Quebec, O’Leary said the circumstances are different. At that time, Jack Layton was leading the NDP and won the vast majority of seats in the province while the Bloc Quebecois took another four ridings, taking Quebec out of the equation. According to O’Leary, a turning point was when some Conservative caucus members asked him, “How selfish are you?” and told him to instead drop out of the race and endorse someone who could win seats in Quebec. Though, he added he has a new found respect for candidates who spend months running campaigns.